The classrooms that music teachers will step into look differently than they did 10 years ago. The way they are trained should look different as well. 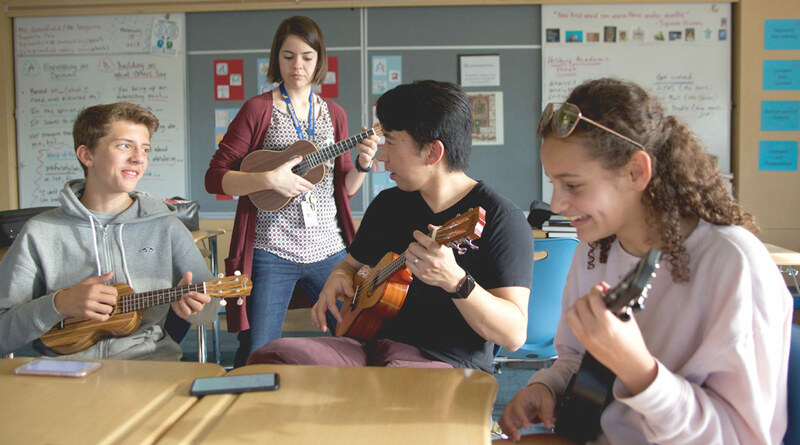 Today’s music educators face exciting and challenging times as students become more diverse, embrace a wider variety of musical styles, and engage with music in their own sophisticated ways. 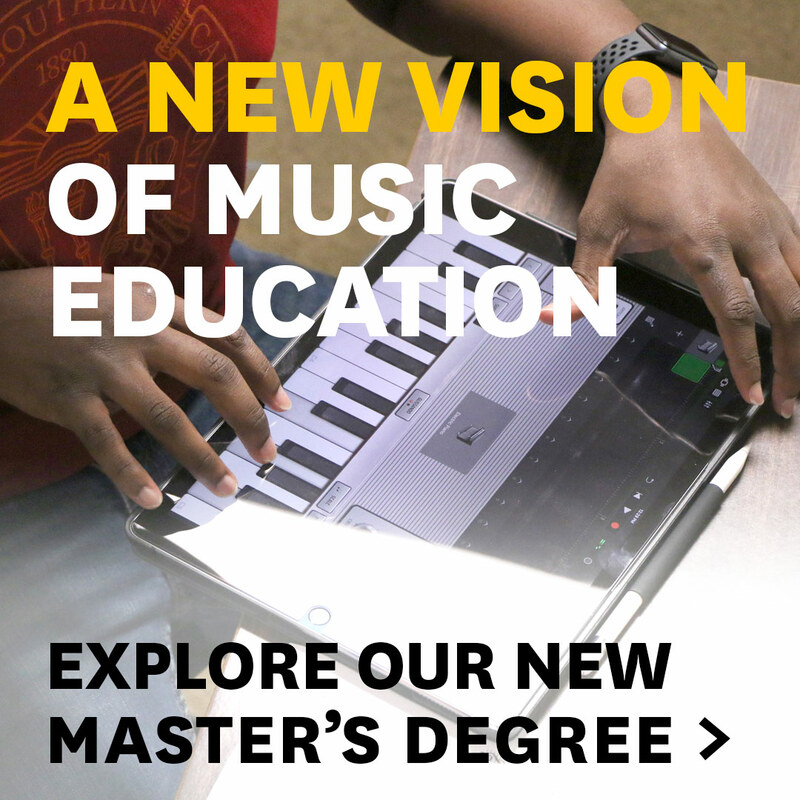 The K-12 Contemporary Teaching Practice Master’s degree offers a new vision of music education in step with this dynamic new landscape. Case in point: Students in the K-12 Contemporary Teaching Practice degree are taught from within a given genre. Want to understand the dynamics of a rock band? Your assignment is to form one and practice in a garage-like setting each week. Want to understand how hip hop works? Your assignment is to produce your own track using one of the free music apps readily available. This philosophy was at the core of USC Thornton’s launch of the now-celebrated Popular Music program 10 years ago, and it’s at the core of the fundamental rethinking of how to train today’s music educators. Here, then, are three examples of recent projects from students that showcase this philosophy in action. As part of the course “Improvisation and Composition,” the students explored dozens of currently available music apps and then produced their own hip hop track. “It’s important to me to spend a lot of time on digital creativity because I think in large part we’re playing catch-up with what children and youth are already doing,” Lewis says. There are so many music apps and digital platforms currently available to young musicians, and what was once thought as something students did outside of the music classroom is increasingly being absorbed into the curriculum. The use of digital platforms also allows specific cultures to find a music that speaks to them. “It’s important that we recognize the tremendous amount of cultural capital that our students have that grows out of their unique socio-cultural landscapes and to start making those connections,” Lewis adds. The coursework also includes songwriting assignments where students from every background of music must understand the songwriting process by writing their own song, some for the first time. This concept of inclusivity can be found across the program where, for example, traditional repertoire for concert band is taught with the same level of interest as a traditional rock band. And what better way to understand the creative process of a band than by forming one? As part of the course “Pedagogy for Small Ensembles,” students rehearse outside of class each week in an informal ensemble. They may not go into actual garages to practice, but the intent is there. Another aspect of the group assignments is to require students to often play on secondary instruments. A student who earned an undergraduate degree in flute performance, for instance, will play electric bass in her newly formed “garage band.” Yet another assignment asks students to arrange a current pop song with their primary instruments. In other words, these assignments encourage open ears and, through them, open minds. Young students are as passionate about music as ever, but their interests are wide and varied. 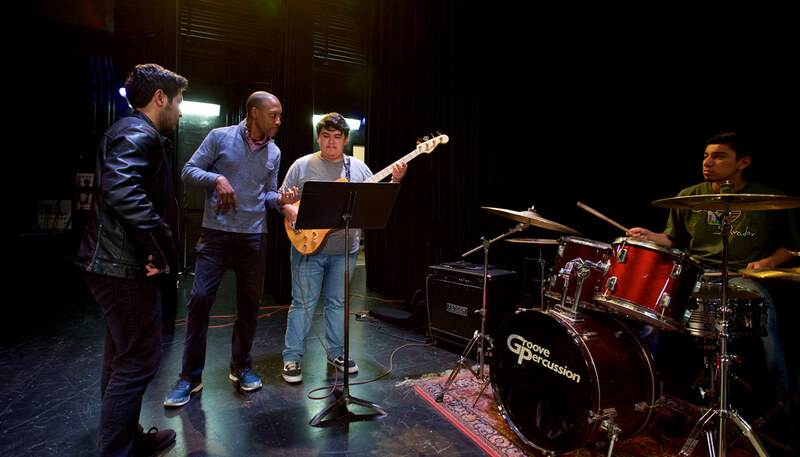 Music teachers today need to engage students in creative music projects that span genres, incorporate accessible technology, and encourage learning outside of the classroom. The goal is simple: The radical new thinking behind the K-12 Contemporary Teaching Practice degree seeks to train music teachers to feel comfortable teaching a wind ensemble, overseeing a rock band, or leading a songwriting class using acoustic and digital technology.